omething’s been happening in the woods near Merritt and it doesn’t bode well. The trees are being clear cut on a 4,658 acre tract of land between Florence Whortonsville Road and Trent Road. What’s worse is what’s to come. This land is part of the most important watershed on the lower Neuse River. Owners of this watershed, locally known as the Atlas Tract, are trying to convert those 4600 acres from a wetland forest to agriculture. And that’s what could really harm the Neuse River and both the life within it and the life here on its shores. Spring Creek Farms LLC purchased this property from Copper Station via a holding company called Northeast Dakota Holdings LLC for $7,110,000.00 or just under $1,525.00/acre. By converting this property to agricultural land, costing around $1,000.00/acre for the conversion, and with farm land currently selling in Pamlico County for as much as $5,400.00/acre, a future sale of $25,000,000.00 could net as much as $13,000,000.00 in profit. You can understand the incentive then, to make this conversion to farmland. Spring Creek Farms LLC has hired a large land-management group to provide documentation to the Corps of Engineers saying that most or all or this 4,658 acres is now uplands and is no longer wetlands. It they are officially called uplands, a big obstacle has been removed and converting these former wetlands into agriculture lands can be done without violating Section 404 of the federal Clean Water Act. It’s one thing to say, on paper, that those are already uplands. Visit the grounds out there and you’ll see a different story. This ditch in the Atlas Tract has been recently cleared of trees. This ditch was originally dug in the late 1980’s (illegally) after the Swampbuster provision of the Food Security Act of 1985 went into effect. The Swampbuster provision was passed to discourage the conversion of wetlands to agricultural production. I personally looked at this entire tract two years ago for a client that was looking for hunting property when Copper Station was marketing this tract for hunting and/or forestry purposes. I firmly believe, based on twenty-six years of buying/selling raw land, that at least 75% or more of this property is 404 wetlands. Here’s why it’s so important to keep them as wetlands. 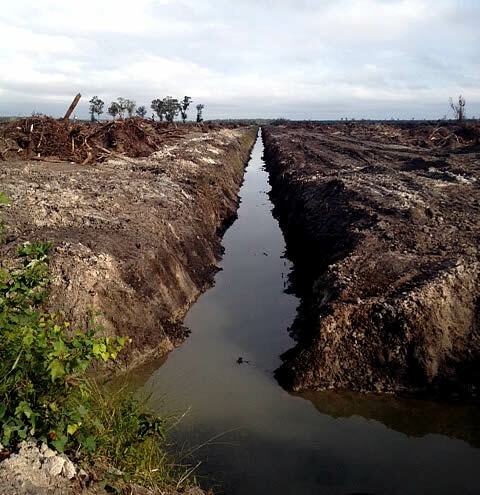 By permanently converting a wetland forest into farm land, you completely destroy the viability of this watershed. No longer will the heavy rains during the winter months be absorbed by these wetlands with a slow release of moisture during the drier spring/summer months. Instead, harmful run-off will flow into the headwaters of Trent Creek, Pierce Creek, Orchard Creek and Brown & Lower Broad Creek. If this wetland forest is converted to farm land, then heavy rains will immediately flood these headwaters with agricultural run-off. The result: you’ll see algae blooms and eutrophication – too many nutrients – in the waters nearby which are valuable primary nurseries for fish, shrimp, crabs and oysters. Again, if the land is left as wetland, it can absorb, like a sponge, whatever rain hits it. But it’s another thing entirely when rain hits an agricultural field and the draining ditches dug next to them. Consider these numbers: One inch of rainfall on one acre of land will produce 27,154 gallons of run-off if it is ditched and well-drained. On 4,658 acres, one inch of rainfall equals 126,483,332 gallons of run-off. Pamlico County averages close to 60 inches of rain/year, so the annual run-off from a ditched & well-drained Atlas Tract will produce 7,588,999,920 gallons of run-off, containing sediment, herbicides, pesticides and fertilizer. That is over 7.5 billion gallons of polluted water. Our headwaters and primary nursery areas collecting this contaminated water will surely become cesspools void of life. 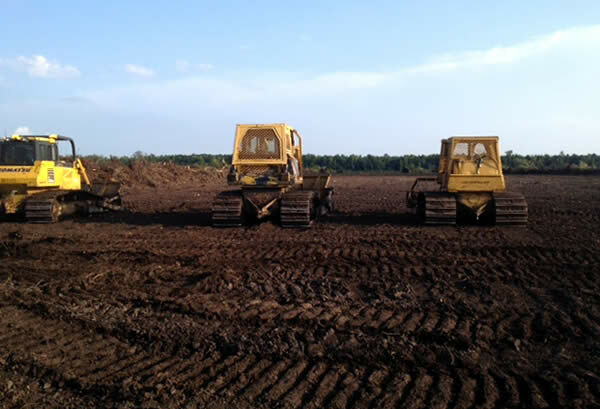 Bulldozers in the Atlas Tract, used to remove stumps of trees recently cut. Hundreds of deer, bear, turkeys and thousands of small mammals and songbirds are permanently displaced. This wetland forest conversion to farm land will have an impact on life on land as well. Please understand, clear-cutting of small tracts, if done periodically, can actually be beneficial to wildlife by creating an edge-effect of new forage without dramatically destroying entire ecosystems. It grows back. But converting wetland forest to farm land , as Spring Creek Farms LLC wants to do would permanently and forever destroy vital habitat not only for the hundreds of deer, bear & wild turkey that inhabit the Atlas Tract, but for the thousands of birds and smaller mammals that will be permanently displaced. The Atlas Tract, as well as other large wetland forest tracts in eastern North Carolina, serve as a vital winter habitat for migratory songbirds for several months during the winter. Without large tracts such as the Atlas Tract, songbird populations will be negatively affected. The Atlas Tract (in red). This 4,658 acre tract is equal to 10% of all the farmland in Pamlico County. 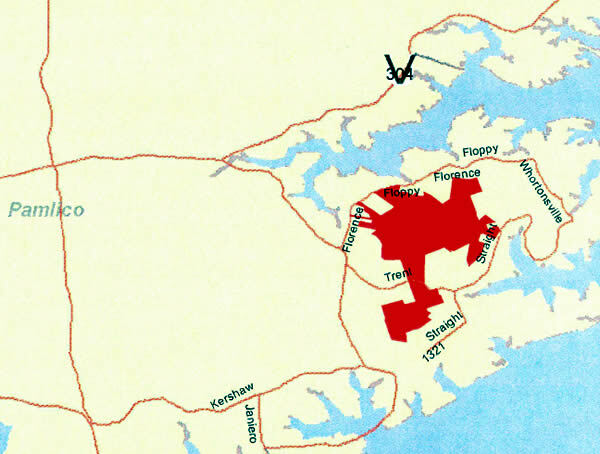 Click here to download a larger map showing the Atlas Tract in Pamlico County. If Spring Creek Farms LLC wants to clear-cut the entire Atlas Tract, there is nothing that anybody can do to stop them. However, the only way that Spring Creek Farms LLC can convert their clear-cuts into farm land is through systematic ditching, and The Clean Water Act specifically says that you cannot convert 404 wetlands into uplands without a permit. Spring Creek Farms LLC must obtain permits from the Corps of Engineers in order to dig ditches. If this land is presumed to be uplands, then why does Spring Creek Farms LLC need to ask for necessary permits to dig ditches or even clean-out any existing ditches on this tract? If this land cannot be ditched for farming, then the highest and best use for the property would be hunting/forestry and therefore it would not be completely cleared of trees. Rachel Carson, who published a book in 1962 called Silent Spring, is credited with launching the contemporary American environmental movement. In “Silent Spring,” she described how pesticides such as DDT thinned the egg-shells in birds such as pelicans & bald eagles, which were both endangered at the time. Awareness of the harmful effects of DDT created a ban of the pesticide and subsequently the recovery of both the pelican and the bald eagle. If Spring Creek Farms LLC receives permits for ditching the Atlas Tract and converts this wetland forest into farm land, then they should at least change their name to Silent Spring Creek Farms LLC, because the silence of displaced wildlife will be deafening. Silence is not an option now for those who care about the health of the Neuse River and Pamlico County. Once the agricultural fields and their chemicals come, so too will come the runoff in to the creeks. The algae blooms will occur. Fish kills will certainly happen. Once NC Fisheries samples occur and discover very few shrimp, fish, crabs & oysters are found, it’ll be up to the taxpayer to correct the problem. That’s you and me. The Federal Government will be forced to step-in and pay the owner of the Atlas Tract money, through the CREPS (Conservation Reserve Enhancement Program) program, to convert this farm land back into a forest wetland. An expensive outcome. Why don’t we just not make the mistake in the first place? The key to stopping Spring Creek Farms LLC from destroying the Atlas Tract watershed is to contact the Corps of Engineers, Emily Greer: Emily.C.Greer@usace.army.mil. Cell: 910-251-4567, Fax: 252-975-1399. Let Emily know that you do not want the Atlas Tract watershed converted to farm land. 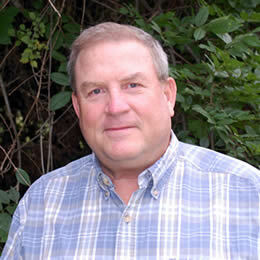 You can also contact Anthony Scarbraugh with NCDENR, Division of Water Resources, anthony.scarbraugh@ncdenr.gov. Phone: 252-948-3924. Again, please tell Anthony that you do not want the Atlas Tract watershed converted to farm land. Allen Propst is a realtor in Oriental. He has a degree in Wildlife Biology from NC State University. Propst has participated in wetlands surveys for Ducks Unlimited.